This talk explores the physical and cognitive limits of crowds, by following a number of real-world experiments that utilized social media to mobilize the masses in tasks of unprecedented complexity. From finding people in remote cities, to reconstructing shredded documents, the power of crowdsourcing is real, but so are exploitation, sabotage, and hidden biases that undermine the power of crowds. Iyad Rahwan is the AT&T Career Development Professor and an Associate Professor of Media Arts & Sciences at the MIT Media Lab, where he leads the Scalable Cooperation group. Rahwan holds a PhD from the University of Melbourne, Australia, and is an affiliate faculty at the MIT Institute of Data, Systems and Society (IDSS). 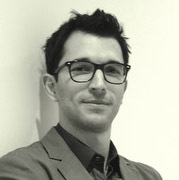 Rahwan's work lies at the intersection of the computer and social sciences, with a focus on collective intelligence, large-scale cooperation, and the social aspects of Artificial Intelligence. His work appeared in major academic journals, including Science and PNAS, and was featured in major media outlets, including the New York Times, The Economist, and the Wall Street Journal. N. Stefanovitch, A. Alshamsi, M. Cebrian, I. Rahwan (2014). EPJ Data Science. vol 3, no 13, pages 1-27. YouTube competes with Hollywood as an entertainment channel, and also supplements Hollywood by acting as a distribution mechanism. Twitter has a similar relationship to news media, and Coursera to Universities. But there are no online alternatives for making democratic decisions at large scale as a society. In this talk, we will describe two algorithmic approaches towards large scale decision making that we are exploring: Knapsack Voting and Triadic Consensus. We will also describe our experience running crowdsourced democracy processes in the US, Canada, and Finland. Finally, we will outline several open algorithmic problems in this space. Ashish Goel directs the Stanford Crowdsourced Democracy Team. He is a Professor of Management Science and Engineering and (by courtesy) Computer Science at Stanford University, and a member of Stanford's Institute for Computational and Mathematical Engineering. He received his PhD in Computer Science from Stanford in 1999, and was an Assistant Professor of Computer Science at the University of Southern California from 1999 to 2002. His research interests lie in the design, analysis, and applications of algorithms; current application areas of interest include social networks, participatory democracy, Internet commerce, and large scale data processing. 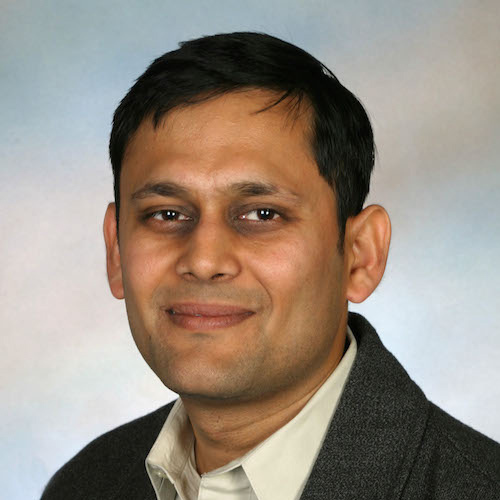 Professor Goel is a recipient of an Alfred P. Sloan faculty fellowship (2004-06), a Terman faculty fellowship from Stanford, an NSF Career Award (2002-07), and a Rajeev Motwani mentorship award (2010). He was a co-author on the paper that won the best paper award at WWW 2009, and an Edelman Laureate in 2014. Professor Goel was a research fellow and technical advisor at Twitter, Inc. from July 2009 to Aug 2014. AAAI HCOMP 2014. Best Paper Finalist. Proceedings of the National Academy of Sciences, March 2013. Conference on Web and Internet Network Economics 2012. The disappointments of the sharing economy -- for instance, monopolistic conglomerates and systemic labor abuses -- stem from its failures to share what really matters in the economy: ownership and governance. Under the banner of platform cooperativism, an emerging network of cooperative developers, tech entrepreneurs, labor organizers, and scholars are developing a business ecosystem that algins the ownership and governance of companies and products with the people whose lives are most affected by them. This represents a radical critique of the existing online economy, as well as a series of practical strategies for healthier ownership design. 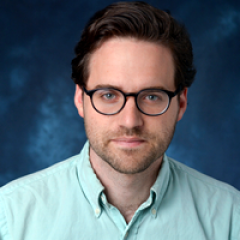 Nathan Schneider is a scholar in residence of media studies and a reporter. His current project is an exploration of models for democratic ownership and governance for online platforms in the wake of a major conference he co-organized at the New School in 2014, Platform Cooperativism. He is the author of "Thank You, Anarchy: Notes from the Occupy Apocalypse", published by University of California Press. His articles have appeared in The Chronicle of Higher Education, The New Republic, Harper's Magazine, The Nation, and other outlets. Media appearances have included The Takeaway, Democracy Now, On Being, HuffPost Live and The Brian Lehrer Show. As an editor, Schneider co-founded the news website Waging Nonviolence.